Deploy WS2012R2 AD Domain Controller in Azure-OnPrem Hybrid Environment using Resource Manager (IaaS) Virtual Machine. | Chinny Chukwudozie, Cloud Solutions. ← Copying an Azure Cloud Blob (VHD) between different Storage Accounts and Resource Groups with ARM PowerShell. Deploy WS2012R2 AD Domain Controller in Azure-OnPrem Hybrid Environment using Resource Manager (IaaS) Virtual Machine. 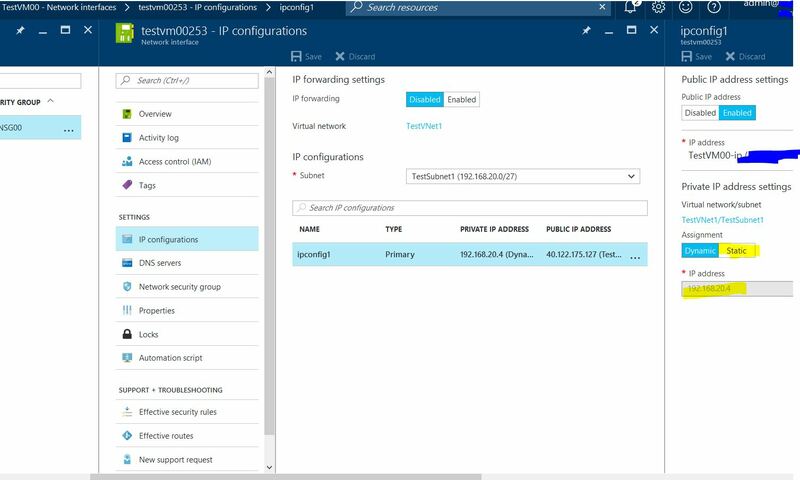 As part of the process of extending my on premise infrastructure environment to Microsoft Azure, I have configured the Azure S2S VPN, an Azure Virtual network and other Azure based components within an ARM resource group to facilitate the implementation of the hybrid infrastructure. In a recent post, I wrote about the steps to design and configure the Azure virtual networks and services required to make this possible. The following steps describe the process of installing and configuring the Active Directory Domain Services on the Azure VM to enable DC resilience for the on premise environment. 1) Login to the Azure VM with the local admin account and join the machine to my on premise domain. After the restart, login with an user account with domain admin and enterprise admin group membership. Before installing Active Directory Domain Services, use the Get-WindowsFeature -Name *ad* cmdlet to verify the correct feature name. 4) Based on the Test results, the VM needs to be assigned a static IP Address as a requirement of functioning as a Domain Controller with DNS installed. This VM sits on Microsoft Azure. 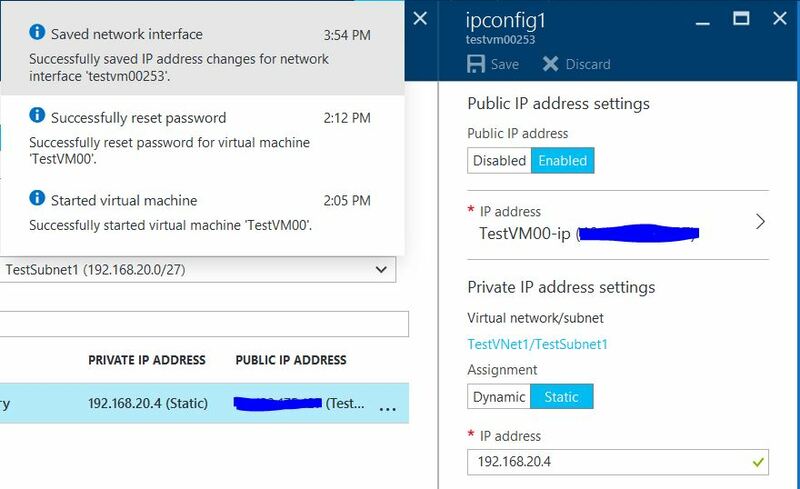 Using the Azure Resource Manager, I’ll make the current dynamic IP Address configuration static on the Network Interfaces blade of the Azure virtual manager. 5) After successfully setting the Azure VM IP Address assignment to Static. I’ll login to the VM via internal rdp, configure the IPv4 address as static and run the Test-ADDSDomainControllerInstallation cmdlet again to confirm the error has been resolved. 6) Use the Install-ADDSDomainController -DomainName mylab.net -SafeModeAdministratorPassword $password -InstallDns -Verbose cmdlet with the the specified parameters to promote the machine to a Domain Controller. 7) After the system restart, I set about configuring a new Azure-Lab Active Directory Site and Subnet using the Active Directory Sites and Services console to reflect the Azure virtual network subnet/location. I added the the new subnet to the Azure-Lab Site. This will enable the new Azure-Lab site handle any login and authentication originating from my Azure Virtual Network. This entry was posted in Active Directory Domain Services, AD Forest, Azure, Azure VPN. Bookmark the permalink.